A&A Gates provide a prompt and professional service, supplying and installing gates across Devon. Wrought iron is an incredibly popular material to construct entrance gates of all shapes and sizes. 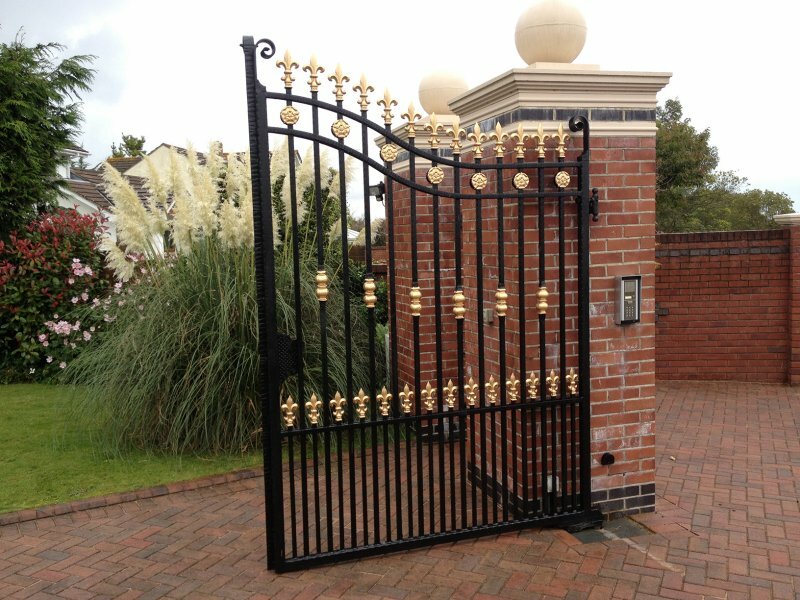 It provides a lot of flexibility and allows the gate designer to offer the customer a large number of varying designs, ranging from the traditional gates of the past to a more modern, contemporary design. Some home owners have opted for a simple, straightforward design while others have opted for more complex gates made up with the name of their property embedded in the gate design for example. Almost anything is possible with wrought iron gates, the main design limitation being peoples imagination. Wrought iron electric gates require less maintenance than wooden gates and are likely to last much longer. However, although every gate will provide the security the home owner needs, most wrought iron gate designs allow people to see through the gates. In order to achieve complete security and privacy, the additional combination of steel rail and flat steel sheets is needed. Although wrought iron electric gates are traditionally swing gates, an increasing number of people are installing electric sliding gates as a viable alternative when space is an issue.